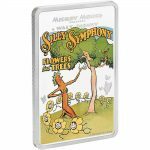 View cart “FLOWERS AND TREES – SILLY SYMPHONY – DISNEY POSTERS OF THE 1930’S – 2017 $2 1 oz Pure Silver Coin – Niue – NZ MINT” has been added to your cart. The first coin release in the Disney Frozen – Magic of the Northern Lights collection. 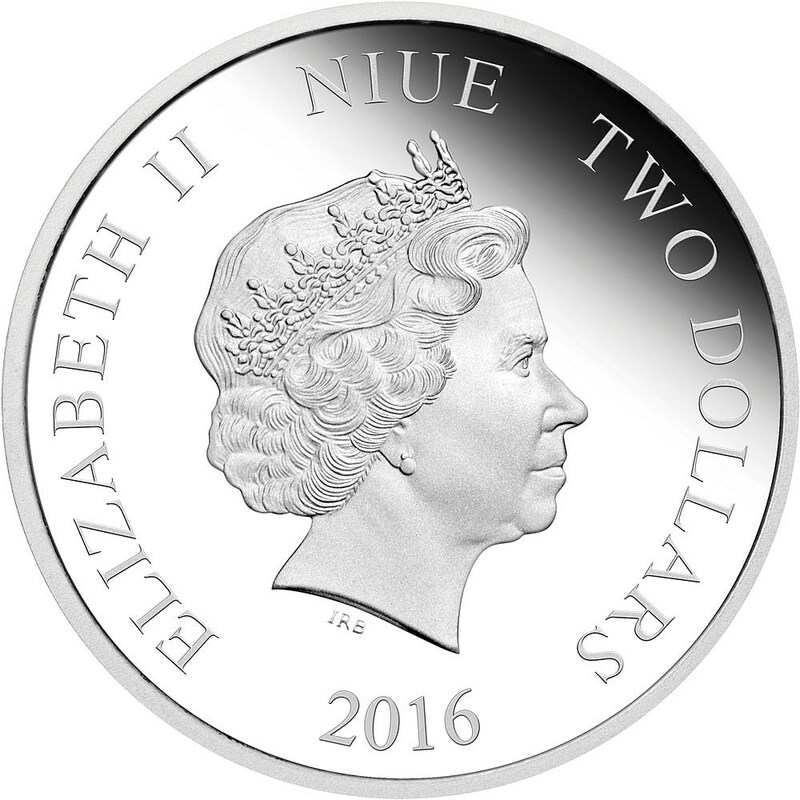 Contemporary, colourful coin and packaging design. Proof quality 1 oz Fine Silver coin. 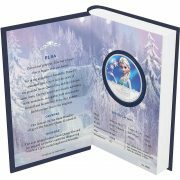 Presented in delightful fairytale book style packaging. 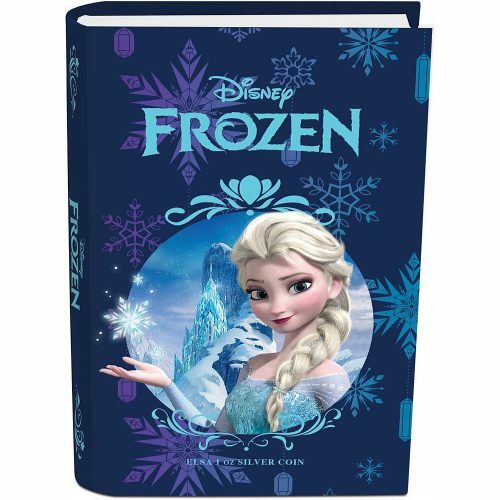 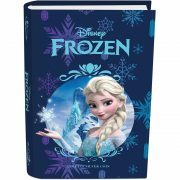 Great present for any Disney princesses fan or Frozen fan. Poised and graceful, Elsa’s heart is bigger than she knows. 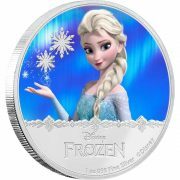 The Elsa 1 oz Silver Coin is the first to be released in the Frozen – Magic of the Northern Lightscollection and features a colourful image of Snow Queen Elsa and her magical icy powers under the shimmering northern lights in the kingdom of Arendelle. This Elsa coin comes presented in delightful fairy-tale book style packaging. 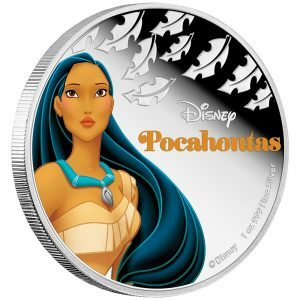 The themed packaging makes this coin an ideal gift for any Disney fan or coin collector. 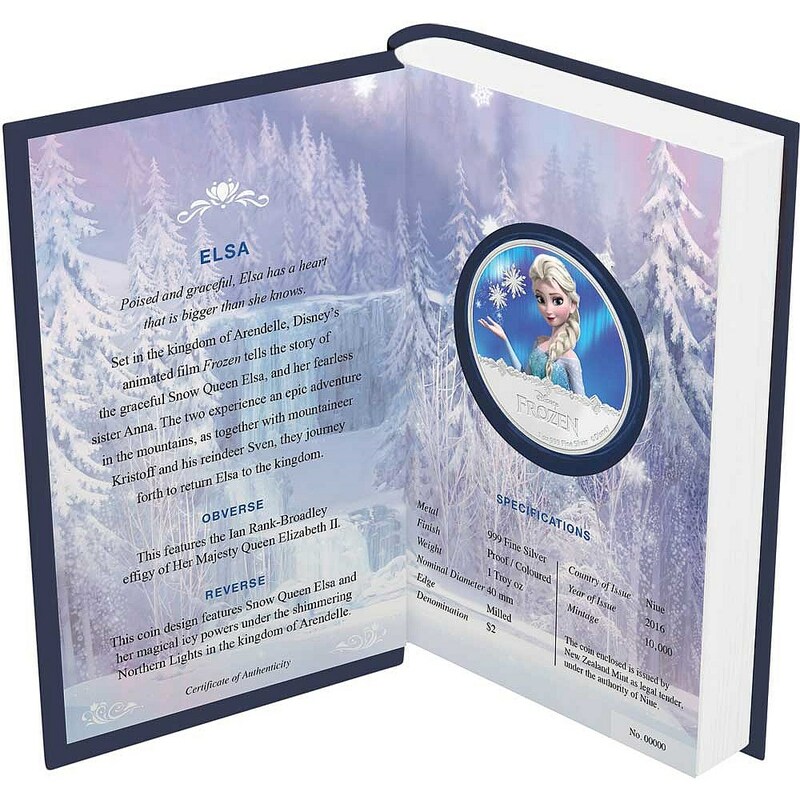 The Certificate of Authenticity is printed onto the packaging.